Introducing their younger Ryzen 3 processors earlier this month, which should attract even more users to the company’s camp, AMD revealed all the technical details, but did not name the price of new products. Yesterday the manufacturer filled this gap with a separate press release . So, while this series includes two models: Ryzen 3 1300X and Ryzen 3 1200. Each of them has four physical cores and the same number of logical streams. That is, there is no support for Simultaneous Multi-Threading (SMT) multithreaded data processing technology. But there is support for the proprietary overclocking function XFR (an extensible frequency range), which, with proper cooling, will allow a slight upper limit (+50 MHz for the younger and +200 MHz for the senior). With regard to operating frequencies, the older Ryzen 3 1300X is characterized by a range of 3.5 – 3.7 GHz, while the frequencies of the younger Ryzen 3 1200 are 3.1 – 3.4 GHz. Both processors are allocated 8 MB of cache in the third level, and TDP is 65 watts. Now the most interesting is the price: the recommended cost of the Ryzen 3 1300X processor is $ 129, the Ryzen 3 1200 model is $ 109. These prices refer to the so-called “boxed” versions, complete with the proprietary cooling system Wraith Stealth. The actual sales of new products will begin on July 31. It remains to add that the new Ryzen 3 1300X and Ryzen 3 1200 in the performance of AM4 are direct competitors of dual-core Intel Core i3, Core i3-7100 (2 cores / 4 streams, 3.9 GHz, $ 117) and Core i3-7300 (2 cores / 4 stream, 4 GHz, $ 138). 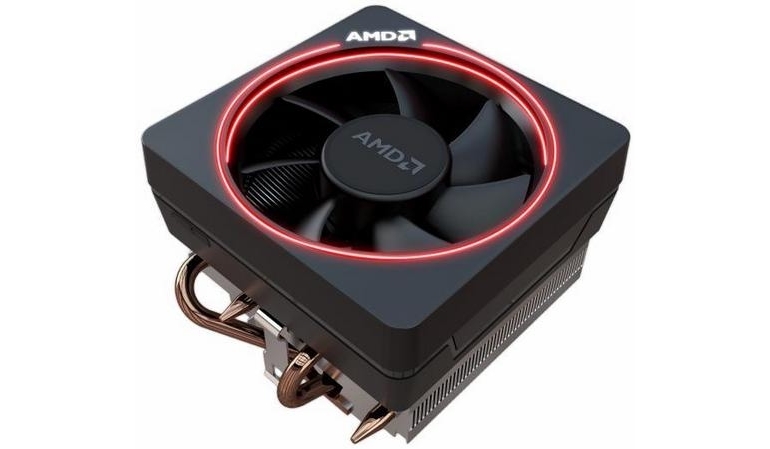 At the same time, AMD announced the release of its most productive cooler Wraith Max in the form of an independent product. That is, now it can be bought separately for $ 59. Recall, at a noise level of no more than 38 dBA, this cooler can provide proper cooling to older Ryzen 7 models, and also it is equipped with LED RGB-backlighting.